Sleeping is one of the important activities that you do on the daily basis. If you want to enjoy the great quality of sleeping, you have to use Pinzon Pyrenees white goose down comforter. It is considered as the appropriate comforter for the people who want to get the perfect sleeping time. During the winter season, you will never catch the cold and chilly feeling if you sleep under the warm comforter. It saves you from the discomfort. 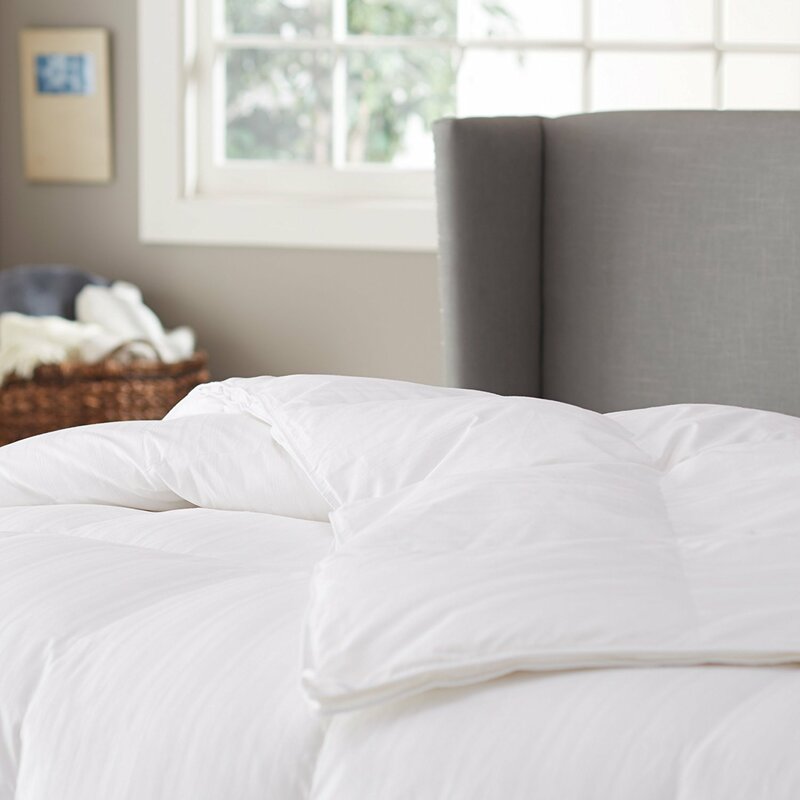 The white goose down in the comforter is the primary feature which differentiates it from the rest of the comforters in the stores. You can enjoy the medium level of warmth using Pinzon Pyrenees white goose down comforter. It is equipped with the fill power at 600. It gives us the detail amount of the down that will be used to occupy the comforter. The experts state that the comforter with fill power at a 600 level is exceptional. If you get the comforter with higher fill power, the goose down is stronger and larger. Therefore, the comforter can have the prolonged usage, better breathing and great insulation. If you want to get hypoallergenic goose down comforter, you have to decide whether you want a queen or king comforter. The twin sized comforters are available too in the market. Moreover, the queen bed matches well with a queen comforter. If you have larger bed design, the king sized comforter is a good option. The construction of Pinzon Pyrenees comforter is distinctive. It has the PermaBaffle shiftless construction. The manufacturer has the patent for this feature. There is no way that the down fill will be shifting because of the usage of patented baffle box construction. 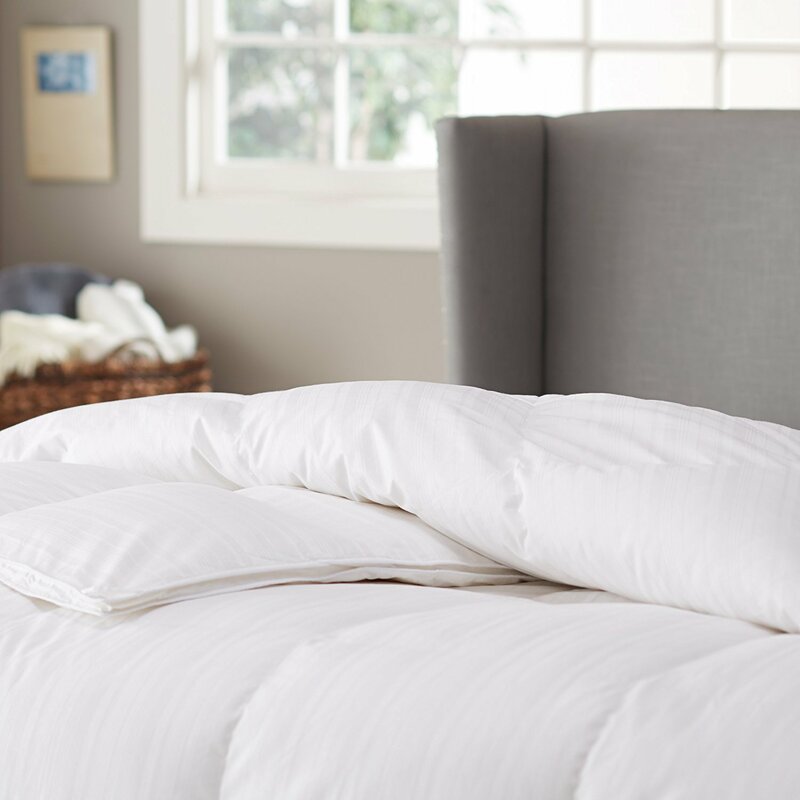 The goose down in the Pinzon Pyrenees comforter will stay on its place even though you wash it over and over. Compare it with the regular comforter. After you wash the piece, the down fill is often shifted and make you uncomfortable due to the uneven down fill distribution. The good value of Pinzon Pyrenees white goose down comforter is not only related to the construction, utility and durability. It also gas amazing look that you can fit with the interior design of the bedroom. You can choose the white comforter for it is flexible to put in any kinds of bedroom. If you like a stylish look, the attractive striped pattern is also available in the market. The comforter has the leak proof shell quality. It is made in a 400 thread count Dobby weave and 100 percent cotton which can be cleaned and washed easily. If you opt for the full or queen sized Pinzon Pyrenees comforter, it comes with the measurement at 90 by 96 inches. The model of the comforter is various. You can choose the extra, medium or light warmth. The extra warmth is suitable for the people who live in a cold region. If you live in a tropical region, the light warmth will never make you sweaty. If you want to purchase Pinzon Pyrenees white goose down comforter, it will cost at reasonable price.